Narrow & Speech band masking also available with Wide band masking. Supplied with HD-01 as standard, can accept both 8 and 10 ohms headphones. TONE DECAY test available along with pulse tone & +10dB facility. With USB port for computer adaptability to operate through computer. Software provided Free of charge. 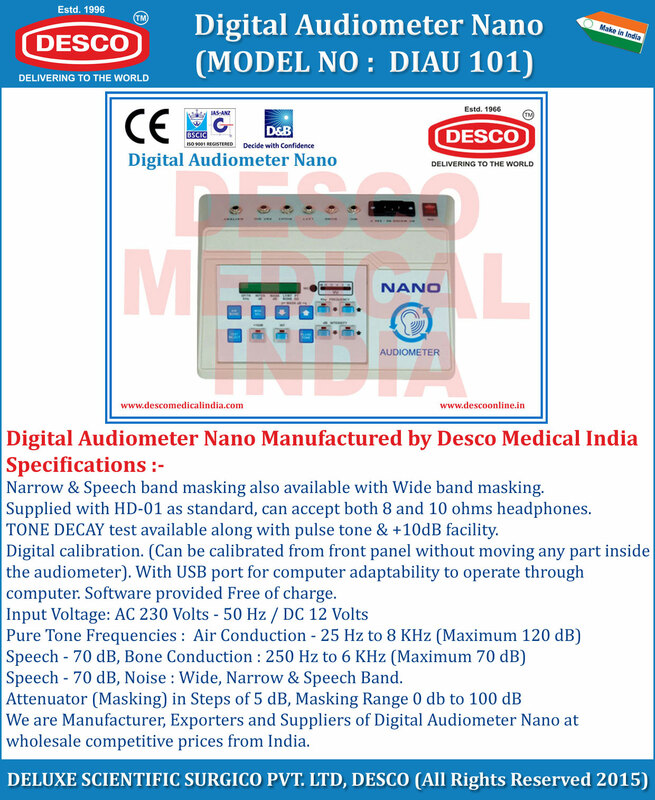 We are Manufacturer, Exporters and Suppliers of Digital Audiometer Nano at wholesale competitive prices from India.